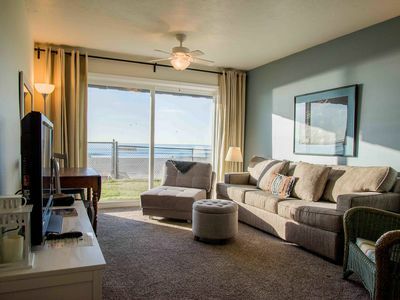 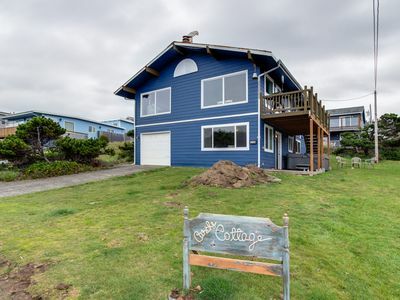 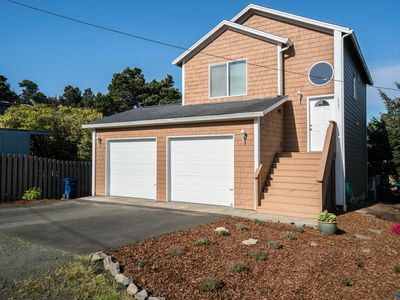 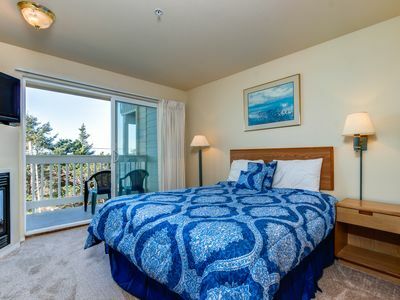 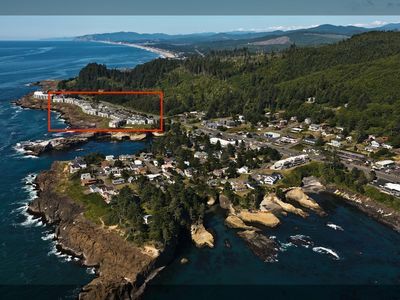 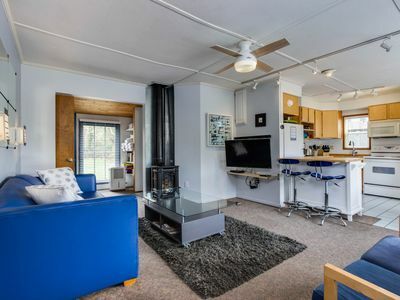 Perch in this upper-level beachfront condo at Waters Edge with panoramic views of the Pacific Ocean and beautiful Siletz Bay and you’re in for a convenient, relaxing stay on the Coast! 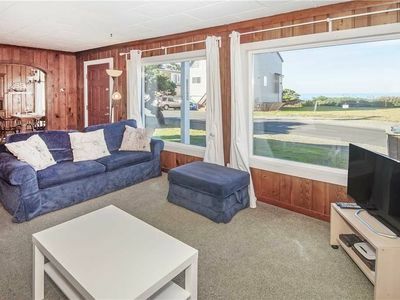 You’ll enjoy a spacious king bedroom in this light-filled home; there’s also a queen sofa sleeper in the living room with its gas fireplace and bay views. 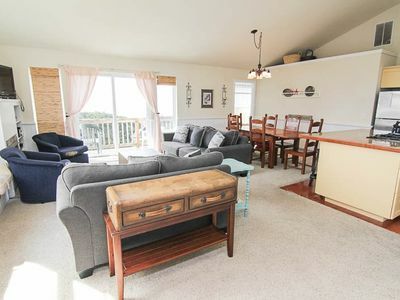 A fully-equipped kitchen has a breakfast bar and dining table, so you can happily eat in. 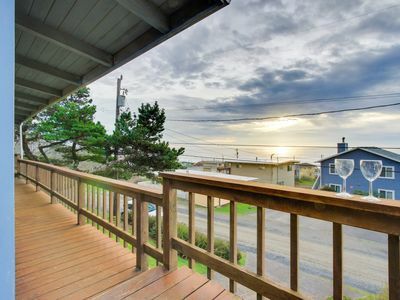 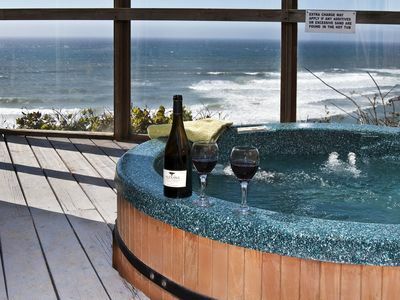 You’ll see incredible sunsets color the skies from your outdoor deck over a glass of wine. 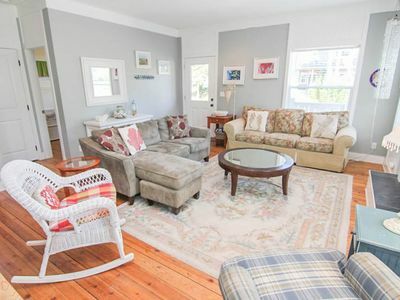 Take the elevator down to street level and walk a short distance to the delights of the Taft Bayfront—several restaurants, including Mo’s and a sweet bakery, galleries, locally made ice cream and saltwater taffy, a grocery and glass-blowing are in easy reach. 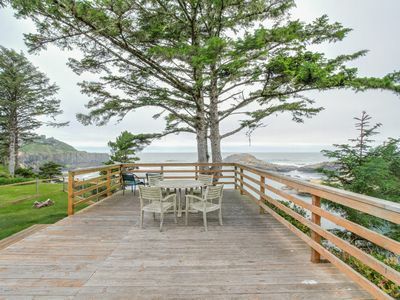 Nature is also right out your door: you can walk the sand along Siletz Bay and greet harbor seals popping their heads out of the water, catch crab from the dock near Mo’s, stroll out to the ocean or take a bird-watching walk up Schooner Creek. 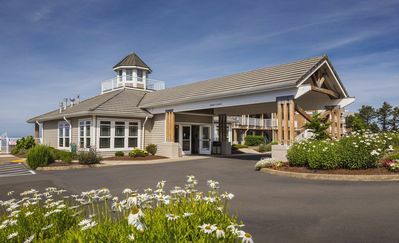 You’re on the shuttle route for a direct trip to Chinook Winds Casino and seconds from Highway 101 for a drive to Newport. 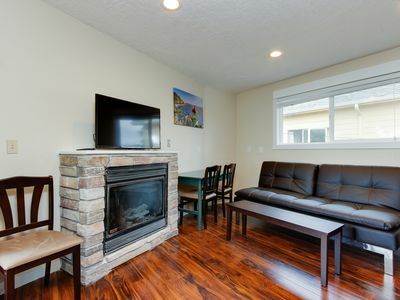 In other words, you have the perfect location for lots of activity or quiet walks in nature from this convenient and well-appointed home! 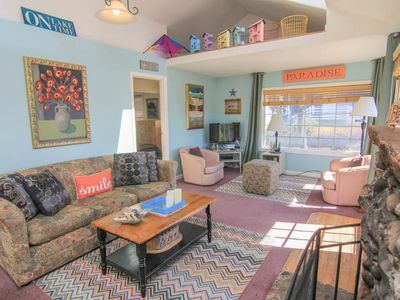 Dog-friendly condo 2 blocks from beach access w/ enclosed backyard & fire pit! 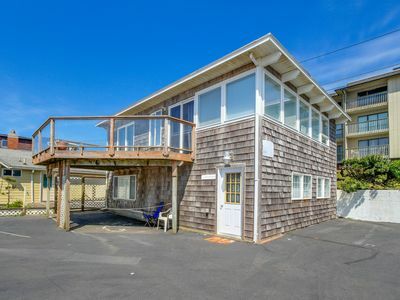 Comfortable condo w/ ocean views & immediate beach access, great location! 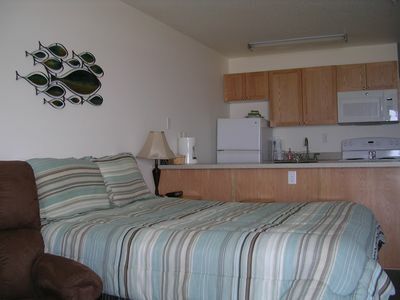 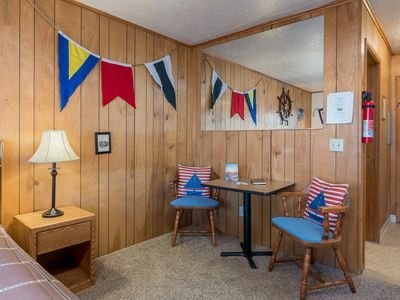 Lower-level oceanview studio - close to the beach, dogs ok! 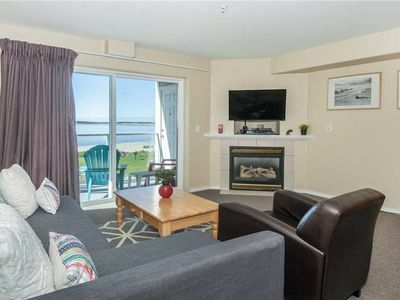 Upper-level, dog-friendly condo with private balcony & nearby beach access! 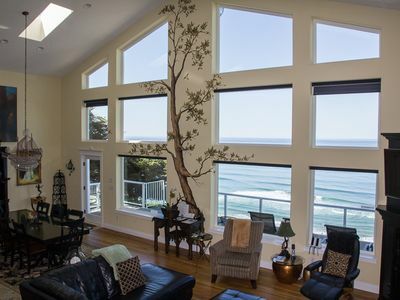 Updated Cliff-Top Home, Third-Floor Oculus Window Ocean Views! 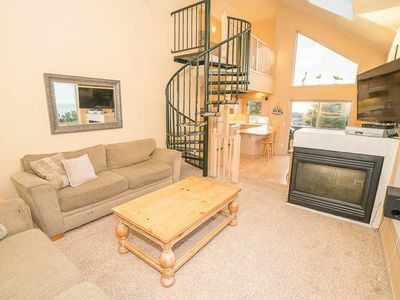 Beautiful Bella Beach Home w/ Great Amenities in a Family Friendly Setting!